The minor league regular seasons are all wrapped up except for Billings who plays their regular season finale today. 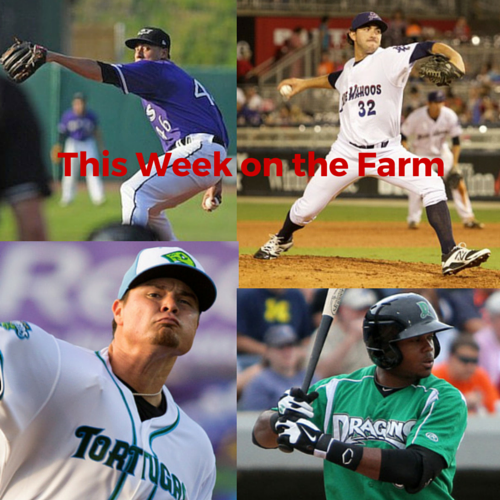 The Reds have three farm teams competing in post season competition. The AA Pensacola team qualified for the playoffs by clinching a 2nd half wild card spot. Last night they dropped the first game of a five game series 5 – 3 to the Biloxi Shuckers in 12 innings. The A+ Daytona team is participating in the post season playoffs thanks to being the 1st half division winners. The Clearwater Threshers beat the Tortugas 7-6 in the first game of a three game playoff series on Tuesday in Clearwater. The Tortugas evened up the series, one game each, with a 6-5 win over Clearwater at home on Wednesday. They will play the deciding game of the series tonight in Daytona. The R Billings team clinched a playoff birth by being the second half division winners. Billings will begin a three game playoff series against Great Falls at home on Friday. The Arizona Fall League begins play on October 9th. The Reds will be sending the following eight players to play for the Scottsdale Scorpions. Now let’s see how each of the farm teams ended the regular season and how they stacked up as a team against the league averages. The Bats finished with a 61 – 76 record and in 4th out of 4 in the International League West. International League hitters hit .253/.321/.391/.712. Louisville Bats hitters hit .261/.323/.411/.734. International League pitchers had a 3.85 ERA. Louisville Bats pitchers had a 4.19 ERA. The Blue Wahoos finished with a 69 – 68 record and in 2nd out of 5 in the Southern League South. Southern League hitters hit .248/.325/.382/.707. Pensacola Blue Wahoos hitters hit .242/.317/.378/.695. Southern League pitchers had a 3.88 ERA. Pensacola Blue Wahoos had a 3.94 ERA. The Tortugas finished with a 69 – 66 record and in 3rd out of 6 in the Florida State League North. Florida State League hitters hit .252/.323/.369/.692. Daytona Tortugas hitters hit .254/.332/.381/.714. Florida State League pitchers had a 3.80 ERA. Daytona Tortugas pitchers had a 4.13 ERA. The Dragons finished with a 58 – 80 record and in 8th out of 8 in the Midwest League Eastern. Midwest League hitters hit .251/.325/.373/.698. Dayton Dragons hitters hit .248/.318/.373/.691. Midwest League pitchers had a 3.77 ERA. Dayton Dragons pitchers had a 4.73 ERA. The Mustangs are with a 39 – 36 record and in 1st out of 4 in the Pioneer League North. They play their final regular season game tonight. The Pioneer League hitters hit .278/.350/.430/.779. Billings Mustangs hitters hit .264/.329/.385/.714. The Pioneer League pitchers had a 5.11 ERA. Billings Mustangs pitchers had a 4.30 ERA. The Appalachian League hitters hit .262/.350/.397/.746. Greeneville Reds hitters hit .265/.343/.409/.752. The Appalachian League pitchers had a 4.79 ERA. Greeneville Reds pitchers had a 5.01 ERA. The Reds finished with a 13 – 42 record and in 6th out of 6 in the AZL Central. The AZL hitters hit .248/.334/.354/.688. 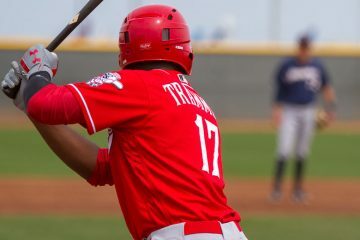 AZL Reds hitters hit .244/.303/.363/.666. The AZL pitchers had a 4.11 ERA. 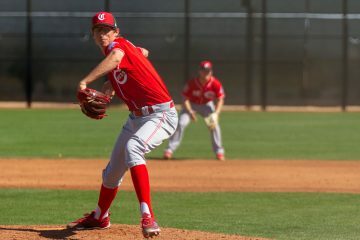 AZL Reds pitchers had a 5.43 ERA. The Reds finished with a 34 – 38 record and in 5th out of 6 in the Dominican Summer League Baseball City. The DSL hitters hit .238/.337/.332/.669. DSL Reds hitters hit .231/.328/.334/.662. The DSL pitchers had a 3.79 ERA. DSL Reds pitchers had a 3.79 ERA. Tom, thanks for the report. We can see now where the pitching trouble starts, only 2 of the team’s had ERA equal or lower than league average.